Microsoft’s Silverlight product is most directly a competitor of Adobe Flash. But that’s not who they’re calling out in some data they sent our way today. Instead, the company (or at least their PR firm) is noting that with 300 million installs of Silverlight 2, the platform is installed on more machines around the world than the web browsers Firefox, Safari and Chrome — combined. Damn. Them fightin’ words. Of course, that also not-so-subtly speaks to Microsoft’s own web browser, Internet Explorer, being by far the biggest in the world — despite falling market share. But it’s a bit odd for Microsoft to call all those other browsers out since Silverlight not only works on all of them, but to some extent needs them, if it’s to survive. What’s impressive in Silverlight’s big install number is that it’s just for version 2, which was only released about 6 months ago. That was undoubtedly thanks largely to a few huge events that used the Silverlight platform to stream on the web recently: notably, March Madness and President Obama’s Inauguration. And Microsoft is going to need those kind of deals if it’s going to be able to compete with its aforementioned real competitor: Flash, which has something ridiculous like a 99% adoption rate on U.S. web-connected computers. One of those big partnerships for Silverlight was Major League Baseball’s MLB.com live-streaming service. But back in November, the league announced it would drop Silverlight in favor of Flash. The stated reason was the Flash performs better, though specifics weren’t given. Since that time however, Microsoft has released the beta version of Silverlight 3 and even won an Emmy for the Olympics coverage last summer. 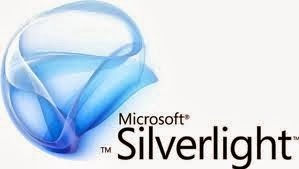 Microsoft estimates that some 300,000 developers and designers are working on the Silverlight platform. But it’s still going to be about big time partnerships in getting people people to use it instead of, or at least along with Flash. I fall into that latter category for that very reason. I have Silverlight on my computer simply to be able to stream Netflix movies. That’s a huge partnership for the platform, and one that isn’t likely to go away considering that Netflix CEO Reed Hastings is on Microsoft’s board of directors. Microsoft recently revamped its Silverlight blog and is looking for feedback on it.